Self-esteem is a major key to success in life. The development of a positive self-concept or healthy self-esteem is extremely important to the happiness and success of children and teenagers. 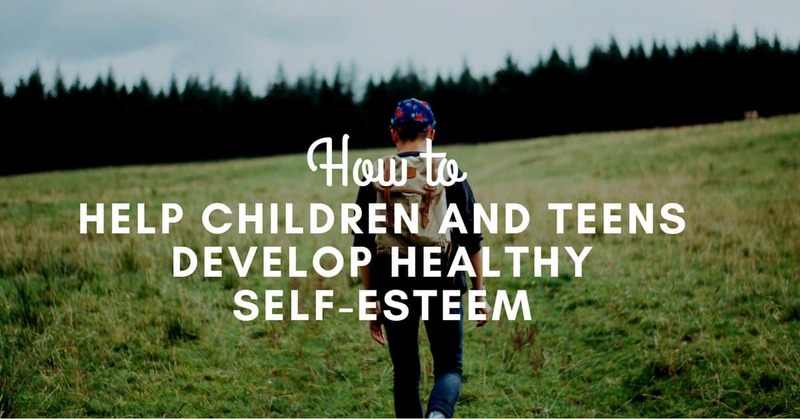 This page will share the basics for helping kids and teens to improve their self-esteem. It will also point you to other CDI pages and CDI products that can help you to improve your child’s or teenager’s self-esteem. Parents, more than anyone else can promote their child’s self-esteem. It isn’t a particularly difficult thing to do. If fact, most parents do it without even realizing that their words and actions have great impact on how their child or teenager feels about himself. Here are some suggestions to keep in mind. When you feel good about your child, mention it to him or her. Parents are often quick to express negative feelings to children but somehow don’t get around to describing positive feelings. A child doesn’t know when you are feeling good about him or her and he or she needs to hear you tell him or her that you like having him or her in the family. Children remember positive statements we say to them. They store them up and “replay” these statements to themselves. Practice giving your child words of encouragement throughout each day. Teach your child to practice making positive self-statements. Self-talk is very important in everything we do. Psychologists have found that negative self-talk is behind depression and anxiety. What we think determines how we feel and how we feel determines how we behave. Therefore, it is important to teach children to be positive about how they “talk to themselves.” Some examples of useful self-talk are: “I can get this problem, if I just keep trying.” “It’s OK if our team lost today. We all tried our best and you can’t win them all.” “It makes me feel good to help others even if the person doesn’t notice or thank me.” Your child can become an expert at this by listening to Self-Image for Children . It combines relaxation techniques along with positive self-statements and mental pictures to help kids develop their self-esteem. Avoid criticism that takes the form of ridicule or shame. Sometimes it is necessary to criticize a child’s actions, and it is appropriate that parents do so. When, however the criticism is directed to the child as a person it can easily deteriorate into ridicule or shame. It is important to learn to use “I statements” rather than “You statements” when giving criticism. For instance say, “I would like you to keep your clothes in the proper place in your closet or drawers not lying all over your room;” rather than saying “Why are you such a lazy slob? Can’t you take care of anything?” Please refer to our page, Guidelines for Good Communication With Children for more suggestions. For detailed suggestions on how to get children to act responsibly while achieving a good parent/child relationship, check out Kid Cooperation. Teach your child about decision-making and to recognize when he/she has made a good decision. Children make decisions all the time but often are not aware that they are doing so. There are a number of ways parents can help children improve their ability to consciously make wise decisions. Children make decisions all the time but often are not aware that they are doing so. There are a number of ways parents can help children improve their ability to consciously make wise decisions. Help the child clarify the problem that is creating the need for a decision. Ask him questions that pinpoint how he sees, hears, and feels about a situation and what may need to be changed. Brainstorm the possible solutions. Usually there is more than one solution or choice to a given dilemma, and the parent can make an important contribution by pointing out this fact and by suggesting alternatives if the child has none. Allow the child to choose one of the solutions only after fully considering the consequences. The best solution will be one that solves the problem and simultaneously makes the child feel good about himself or herself. Later join the child in evaluating the results of that particular solution. Did it work out well? Or did it fail? if so, why? Reviewing the tactics will equip the child to make a better decision the next time around. Develop a positive approach to providing structure for your child. All kids and teens need to accept responsibility for their behavior. They should learn self-discipline. To help children learn self-discipline, the parent needs to adopt the role of coach/teacher rather than that of disciplinarian and punisher. Learn the “Three Fs” of positive parenting. (Discipline should be fair, firm and friendly). You can learn the basics on positive parenting by clicking to Parenting 101. Encourage your children to ask for what they want assertively, pointing out that there is no guarantee that they will get it. Reinforce them for asking and avoid anticipating their desires. Encourage your children to develop hobbies and interests which give them pleasure and which they can pursue independently. Let children settle their own disputes between siblings and friends alike. Help your children develop “tease tolerance” by pointing out that some teasing can’t hurt. Help children learn to cope with teasing by ignoring it while using positive self-talk such as “names can never hurt me,” “teases have no power over me,” and “if I can resist this tease, then I’m building emotional muscle.” (If your child has significant problems getting along with other children check out No One to Play With). Encourage your children to behave toward themselves the way they’d like their friends to behave toward them. Help your children think in terms of alternative options and possibilities rather than depending upon one option for satisfaction. A child who has only one friend and loses that friend is friendless. However, a child who has many friends and loses one, still has many. This same principle holds true in many different areas. Whenever you think there is only one thing which can satisfy you, you limit your potential for being satisfied! The more you help your children realize that there are many options in every situation, the more you increase their potential for satisfaction. Laugh with your children and encourage them to laugh at themselves. People who take themselves very seriously are undoubtedly decreasing their enjoyment in life. A good sense of humor and the ability to make light of life are important ingredients for increasing one’s overall enjoyment.